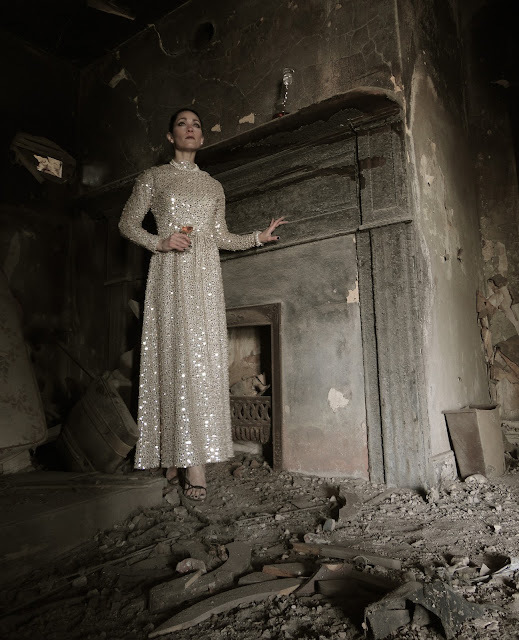 This is a very ghostly/Halloween type photo, I can imagine the lady of the house walking the halls of a crumbling down building in her best gown forever and eternity. Good job as always!!! @AMC - OOOH! I LIKE that! I think I had this sort of delusional "Grey Gardens"-esque character in mind, when I came up with the idea for this shoot - but I'm digging' the notion that instead, she's actually a GHOST! THANK You! Oh my goodness, I love the juxtaposition (contrasting images). She's so formally elegant, in control of nothing but ruins. How beautifully poetic. @cammies on the floor - So funny that you use the word, "juxtaposition"! I'm in the process of putting together my submission to F-Stop Magazine's March exhibition entitled, "Juxtaposition", and I masterminded this shoot specifically for the contest! It feels good to know that I achieved the desired result :) THANK You!